Guild Wars Factions is a stand alone expansion (second campaign) of one of the most popular Free MMOs today, Guild Wars. Like Guild Wars and even Dungeons and Dragons Online, most of the world in Factions is instanced so you don't have to worry about farmers or griefers. You can gather your buddies, guildies, or even NPC henchmen to quest or grind monsters. In fact, the henchmen are great for those players who don't have time to find a group and just want to get started playing solo. Similar to City of Heroes and City of Villains, you can play Factions with or without Guild Wars but you are better off having both. 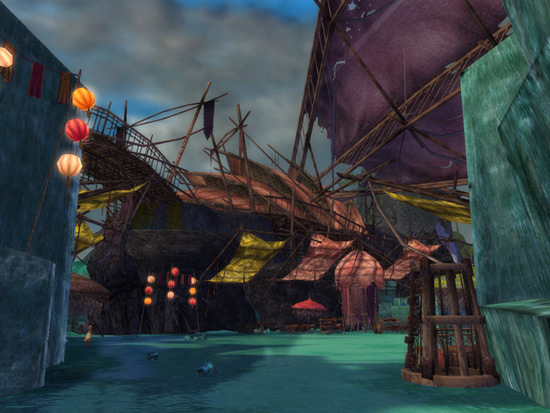 In Guild Wars and Guild Wars Factions, the two game worlds are separated by continents, Tyria and Cantha, but you can travel back and forth by boat if you have both games. Water is not the only thing that separates the two continents as each continent has its own different theme. While Tyria in the first Guild Wars campaign is just an ordinary fantasy world, Cantha in Factions derives its theme from Asian mythology with beautiful scenery that you might could find in a big budget Hong Kong fantasy flick and even Asian music. Factions' Asian fantasy theme does not stop there though because the two new professions, the Assassin and the Ritualist, also have roots in Asian cinema. Ever seen House of the Flying Daggers? If so, you have some idea what the Assassin can do. The Ritualist or evil priest has also been in many Hong Kong fantasy movies. Instead of being cheesy, the Asian influence adds a degree of freshness to the game that makes Factions stand out in a sea of rather stale fantasy worlds. Game-play wise, the biggest addition to Factions is Alliances. Alliances are made up of guilds working together. Not only do Alliances share the same chat and can visit each other, but they can also take over cities and get access to exclusive areas and missions. The ability to take over and control cities is not in World of Warcraft or in most MMOs for that matter. Shadowbane did/does (depending on whether it lives or not) allow guilds to control cities, but ultimately failed as an MMO. That said, it will be interesting to see how well this interactive feature does over time in a more mainstream game. 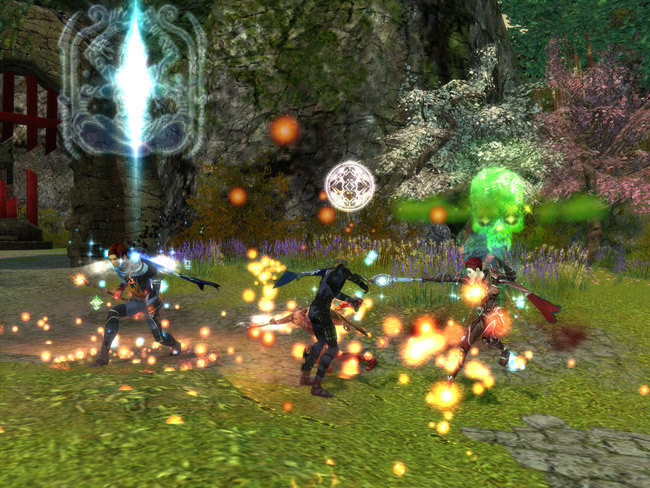 Comment: Actually, I like this one better than the regular Guild Wars. The first one seemed like a generic fantasy world, while I love the Asian theme of Factions. The two new classes are great, especially the Assassin. To top it off, Alliances being able to control cities is really cool. 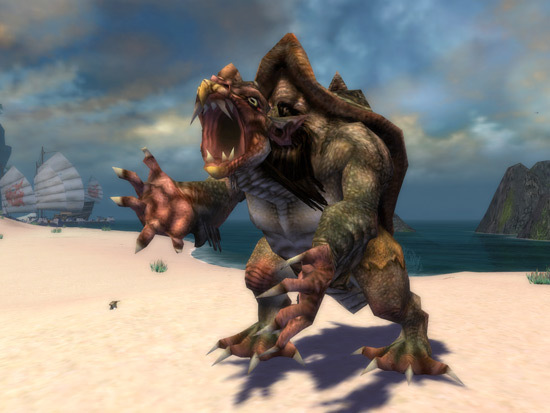 Guild Wars Factions has a retail price for the game, but charges no fees for online play.